We need to find a modern version of the term “Renaissance man” because that's where Elon Musk, who has had the most eventful 2017 of any other individual, belongs. Elon Musk has said he wants to build a retro drive-in restaurant at the Tesla Supercharger in Los Angeles. We need to find a modern version of the term “Renaissance man” because that’s where Elon Musk, who has had the most eventful 2017 of any other individual, belongs. Just for the record, Musk has calmed a number of conspiracy theorists by claiming that he is not an alien–anymore. To add to the litany of schemes, plans, and achievements of his portfolio, Elon Musk now wants to add retro drive-ins at his Tesla’s Supercharger stations to the list. To begin the list of achievements, Musk wants SpaceX’s BFR (Big Falcon Rocket) to intercept and explore Oumuamua, the cigar-shaped asteroid that has been dominating the news recently. Thought to be the first interstellar object to visit our solar system, Oumuamua could be an alien spaceship, and that may explain Musk’s interest in it. For Musk’s terrestrial projects, his Boring Company and the Hyperloop One project have gained more momentum, with him ready to build a tunnel in Maryland, California, and under whichever city welcomes his idea. As a testament to his ability and his love of challenges, Musk betted that Tesla could build the world’s biggest battery in Australia’s Outback in just 100 days, and, unsurprisingly, he won. Yes, the man also wants to revolutionize education. He has recently donated $15 million USD to the X-Prize Foundation for a project aimed at helping millions of children in developing countries read and write using tech solutions. Musk also finished 2017 in style thanks to SpaceX and his space projects, including a blueprint for Mars colonization, the same, however, can’t be said about Tesla. After revolutionizing electric cars, Tesla is eyeing the semitrailer market with its battery-powered Semi, the “safest, most comfortable truck ever” that boasts up to 500 miles range on a single charge. But, Tesla is falling behind on its Model 3 schedule. Tesla has delivered just 1,550 Model 3s in the fourth quarter of 2017, totaling 1,770 cars with 220 units delivered in the third quarter. While Musk had previously promised 5,000 cars a week, Tesla now says it expects that by the end of this first quarter to produce only 2,500 a week. However, that’s just a little bump in Tesla’s road toward dominating the electric car market. Musk is also already thinking about that as he’s considering a solution to how to entertain drivers while charging their Tesla vehicles. Back in September, at FSTEC, the restaurant industry’s annual conference, Tesla announced its plan to provide rest-stop services at its supercharger stations. Now, Tesla CEO, Elon Musk, has unveiled some specifications regarding the project. In a series of tweets, Musk said that Tesla will build old-school drive-in restaurants at its supercharger station in Los Angeles. An old-school retro atmosphere, rock music, waiters on roller skates, outdoor screens displaying moments from movie history–these are just a number of things you may find an in the drive-ins imagined by Elon Musk who wants Tesla owners to spend a good time while they’re waiting for their vehicle to charge. Just ask and Musk will deliver. Responding to excited fans who expressed some of their wishes, Musk said, yes, there would be popcorn and that customers could access the restaurant menu directly from the comfort of their vehicles. At the forefront of the futuristic vanguard, Elon Musk contributes to shaping many facets of our present, which is becoming increasingly more entwined with science fiction. In Musk’s ideal world, you’d pull up to a Tesla supercharger station fueled by solar roofs, plug in your autonomous electric car, and then enjoy a meal delivered on skates while listening to rock music or watching classic movies. It’s a paradoxical scenario, where the past meshes with the present to make a Fallout style scene that will hopefully be a utopia rather than a dystopia. Let’s just hope it pans out as Musk envisions it. 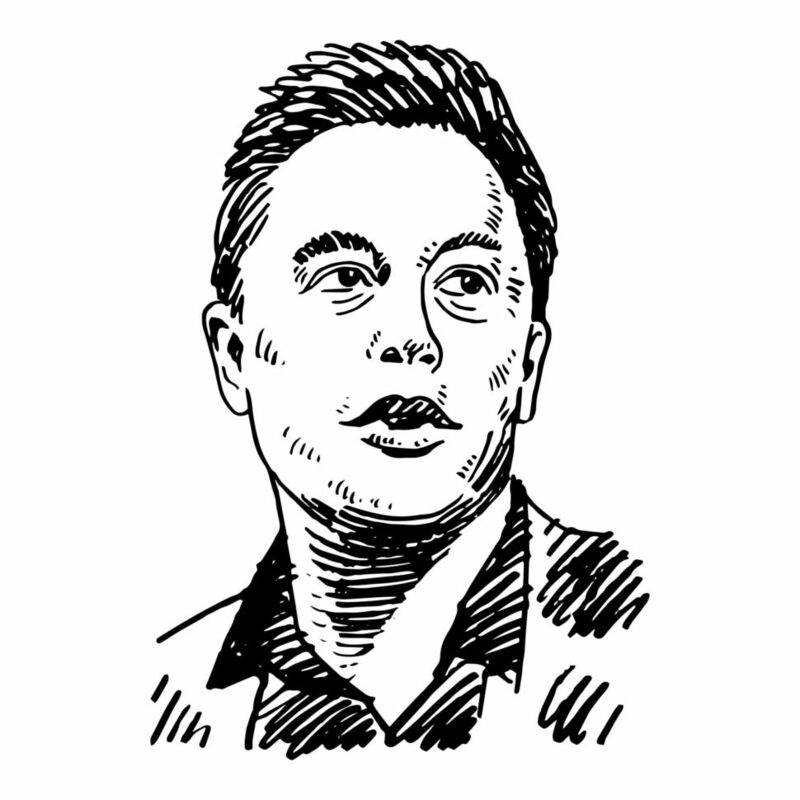 What are your thoughts on Elon Musk’s aims and goals? Do you think he is aiming too high? Or is he right to shoot for the stars? Let us know your thoughts in the comments section below.